ow-performing charters is a pressing issue in North Carolina. In the 2014-15 school year, 13% of charter schools received a school performance grade of F, compared to only 6% of traditional schools. Historically, political pressures from the General Assembly have made it difficult for the State Board of Education to close failing charter schools. Now the General Assembly is considering HB 242, which would limit the state’s power to close low-performing charter schools. Earlier this week, the National Association of Charter School Authorizers (NACSA), a Chicago-based group that advises education leaders on quality charter programs, wrote a strongly-worded letter to members of the North Carolina House of Representatives, encouraging them to reject HB 242. All of this begs the question: what should charter accountability in North Carolina look like? A number of organizations, including NACSA, have published a number of reports, policy guides, and model legislation detailing preferred elements of high-quality charter school oversight and evaluation. A review of these publications reveals a number of ways North Carolina’s oversight could be improved. NACSA recommends that states provide two levels of performance standards. The first level, demonstrating evidence of extreme underperformance or violation of law, would lead to the termination of a charter prior to the end of the charter term. A second, more rigorous level of standards should be applied at the end of the charter term, when the State Board is measuring a charter school’s performance to determine whether to renew the charter. Under both current law and the changes proposed by HB 242, termination and non-renewal decisions are tied to the same set of allowable criteria in North Carolina. 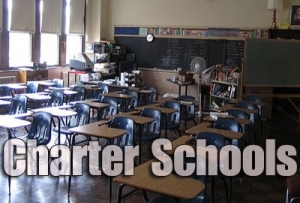 Currently, for charters that have been operating for more than five years, the State Board may close or not renew any charter school with “inadequate performance.” Inadequate performance is defined as any school with annual performance composites below 60% and no growth in student performance for two of the last three years. Under HB 242, the definition of inadequate performance is changed to align with the “continually low-performing” definition for traditional public schools. If existing definitions for “inadequate performance” or “continually low-performing” are sufficient to warrant charter termination, the General Assembly should consider introducing more stringent standards for renewal decisions. Additionally, the standards that would allow termination should be strengthened from “may” terminate to “shall” terminate. That is, for charters that have inadequate performance or are continually low-performing, the default, expected consequence should be closure. It should be the charter school’s responsibility to prove that extenuating circumstances have caused performance to temporarily fall outside of the school’s control. Barring such evidence, the State Board should terminate the charters of schools with inadequate or continually low-performing outcomes. Strong oversight and political will to close low-performing charters (both of which are in questionable supply) are insufficient when armed with weak, poorly-defined policies. Policymakers should remove the performance plan loophole and make closure the default outcome for charters failing to meet performance standards. Barring removal, policymakers, at a minimum, need to define “measurable progress toward student performance goals” before every charter school closure is decided in North Carolina’s court system. Charter advocates recommend defining academic and operational performance expectations by which charter schools can be judged. Performance measures may include student academic proficiency and growth, achievement gaps, attendance, postsecondary readiness (high schools), financial performance, and board stewardship (including compliance). In North Carolina, schools applying to become charters must include such performance goals in their application. To date, the application process has been the first and last time that charter schools’ operational performance expectations are made public. In 2014-15, DPI’s Office of Charter Schools (OCS) created the Annual Performance Framework to serve as the standard mechanism for reporting on progress toward achievement of certain goals. The initial round of Annual Performance Framework results are expected to be published in September 2016. While it’s laudable that the State Board has recognized the importance of clear, transparent performance measures for charter schools, the General Assembly should codify the requirements to collect and publish such information in statute. Furthermore, OCS should be required to report the results of the first year of the Annual Performance Framework to the General Assembly, including input from charter schools on the appropriateness of the measures included in the Framework. NACSA is particularly concerned about a policy introduced in 2014 that allows charter school operators (most of which are for-profit companies) to bid on existing charter school contracts of failed charter schools. According to NACSA, “students and families are usually better served by the orderly closure of a failing school and opening a high-quality new-start charter school in its place than by efforts to turn around a failed charter school.” This seems like reasonable advice for policymakers re-considering charter oversight, as well as policymakers considering other school turnaround efforts such as HB 1080. Oversight of North Carolina’s charter schools deserves serious consideration. Current policies fail to follow best practices, allowing failing charter schools to remain open far too long. Unfortunately, HB 242 fails to address any of the shortcomings in North Carolina’s existing charter policies. Instead, the bill creates new loopholes that will allow even more failing charters to continue failing their students.